Rapala #5 Shad Rap® . Between October and April I know if I need a fish I can always put the trolling motor down and start covering water and I'll catch one. 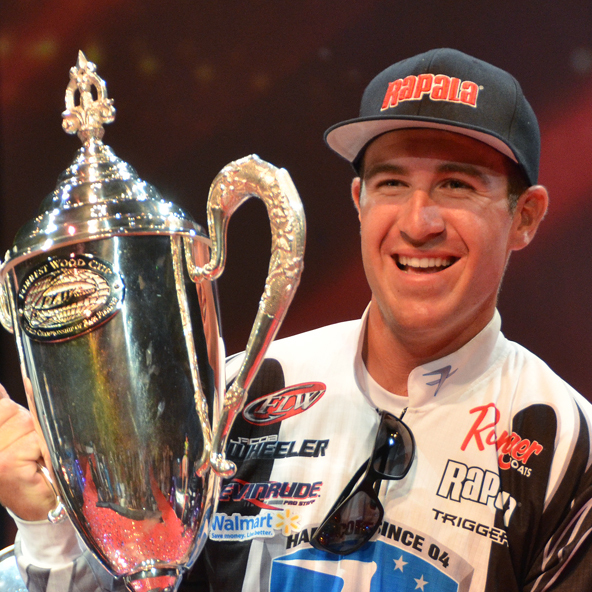 Winning the FLW Cup and BFL All-American while having my family there to watch it all happen.